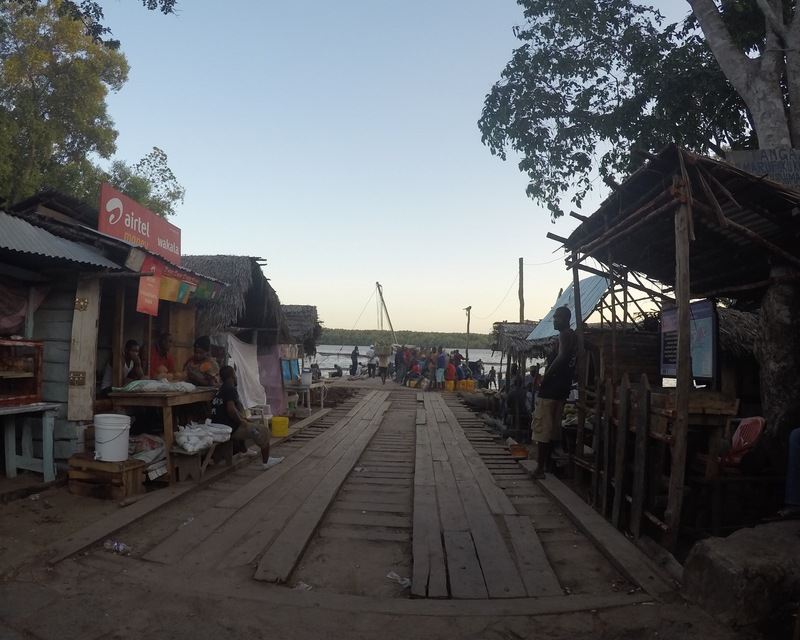 From Dar Es Salaam we made our way to Rangi Tatu bus station in the South of the city and boarded an extremely cramped mini bus for the port town of Nyamisati in the Rufiji river delta, which is effectively the closest mainland port to Mafia. The bus took around three hours and cost 5000Tsh (£1.60). The boat to Mafia leaves the following morning so it’s necessary to spend the night here, Nyamisati is a hot, malarial mosquito ridden backwater with nothing going for it. 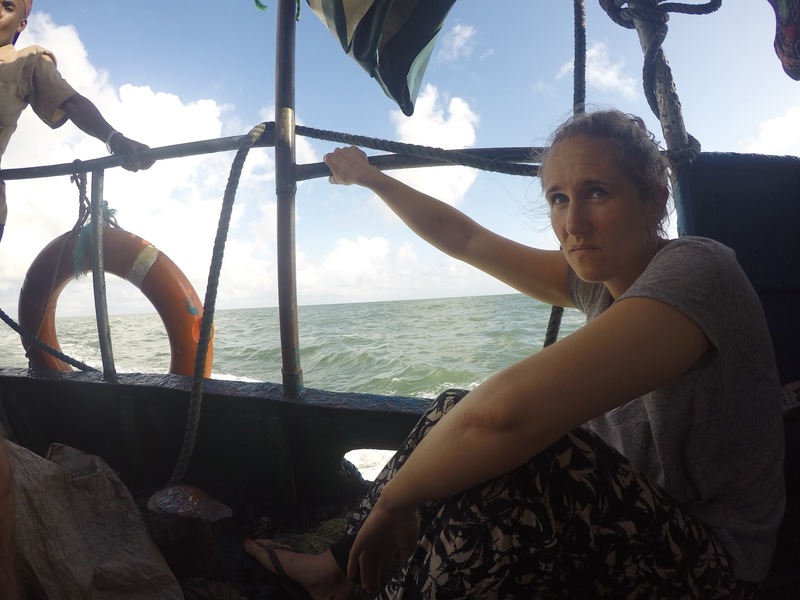 There are two places to stay – the Christian mission who charge 15000Tsh (£5) for a bare room with no fan or there’s an unnamed mud hut hotel next to the jetty, which quite frankly I wouldn’t wish on my worst enemy, the Christian mission it is then! We were told we had to wait until 5pm to buy the boat ticket, so decided to get some food in Nyamisati, and by food I mean chips. That is all that is available from the huts lining both sides of the pier at this time of the day. There’s almost as many chip shops in Nyamasati as there is in Whitby so two plates of cold chips that had been standing covered in flies had to suffice. Nobody really speaks English but a friendly drunken sailor by the name of Captain Amiss helped us out by ordering our ‘chipsi’. There’s a lot of people sitting around drinking in Nyamasati basically because there’s nothing else to do, a few young guys had congregated around a car and were listening to the 80’s hit ‘Another day in paradise’ by Phil Collins whilst walking around in circles, which is so ironic because this place is anything but paradise. I handed over the 13,500TSH (£4.15) for the ticket and now they have our names we’re told to wait till 7pm when our tickets will be ready, or course, it gets to 9pm, we’re being ravaged by mosquitos and there’s still no tickets. We kept being told that the “tickets are not allowed” so Noah, the man from the Christian mission and only real English speaker in town came down and explained that they’d ran out of ticket stubs and were waiting for someone to bring a new book from Dar Es Salaam. He managed to get us a receipt for the tickets so we can go back to the mission for a few hours. We had to be back at the port at 2:30am for a 3am boarding, the departure times vary according to the tides, and this day just happened to be a very early high tide, or so I was told. After literally 2 hours of horrible sleep in the sweltering Christian mission room we headed back to the port at 2:30am to find most other passengers asleep waiting for the boat, locals do this as they can’t afford a hotel. 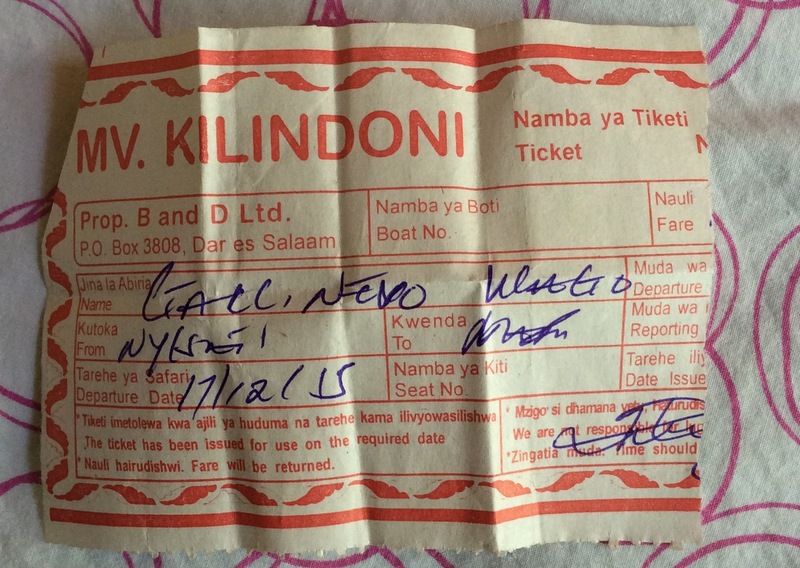 I managed to find the ticket man who finally handed the stub over with the name ‘Gallinevo Wago’ scribbled on it. At 3am the hoi pol oi had awoken like the undead and started to form a crowd at the end of the jetty. The extremely old tin ferry made a grand entrance by chugging out from the darkness as the people stared in awe as if a spaceship had just landed. The screaming, pushing and shoving started as everyone began to pass their luggage to the crew one by one via a narrow wooden walkway, why they didn’t start doing this when the boat was anchored all night is beyond me. The whole scenario was becoming even more ridiculous by the second with seemingly no one having a clue what is going on and zero order whatsoever. It’s then when the captain turned up and it was non other than Captain Amiss himself, the pissed sailor from a few hours previous. Everyone finally piled onto the small vessel, which resembled a boat only seen on the TV which desperately transports refugees across the Mediterranean Sea, for a 5:30am departure. There was very few seats, a very rough crossing and from where I was standing, I saw one solitary plastic life ring. The boat took four hours, once we arrived in Mafia we had to board some smaller wooden rowing boats to take us the rest of the way to the beach as there’s no jetty here, that’s after one of them took us over to a second boat to collect our luggage. Obviously the luggage doesn’t stay on the same boat as it’s owners, that would make things too easy. So from Zanzibar to Mafia took around 30 hours, with the majority of that waiting around in Nyamasati. It wasn’t particularly pleasant, but most local people could never afford to fly, so it was a good experience being introduced to Mafia like a local, and it’s cheap as chips. When getting off the boat at Kilindoni beach reborn ‘Gallinevo Wago’ I had a wonderful sense of achievement knowing that was the hardest £70 I’ve ever saved, and I get to spend the next 10 days diving during the festive period on this beautiful island. Merry Christmas! I want to make the same trip as you, leaving from Nyamisati to Mafia Island. Because of saving money, but also what you say local experience. Do you find it worth to save this money and do this trip? Is it hard to find the christian Mission in Nyamisati? Or can i put up a tent? Because I will have one with me. For the correct info: You started travelling from Dar the 25th december and left the harbor of Nyamisati the 26th at 5am? No it’s not difficult finding the mission. You can ask anyone in Nyamasati for Noah they will show you the way. All of the locals sleep at the port so maybe you can try to pitch a tent. Lately the boat has been leaving at 3am. Yes if you leave Dar on the 1st for example you will arrive Mafia the next day. 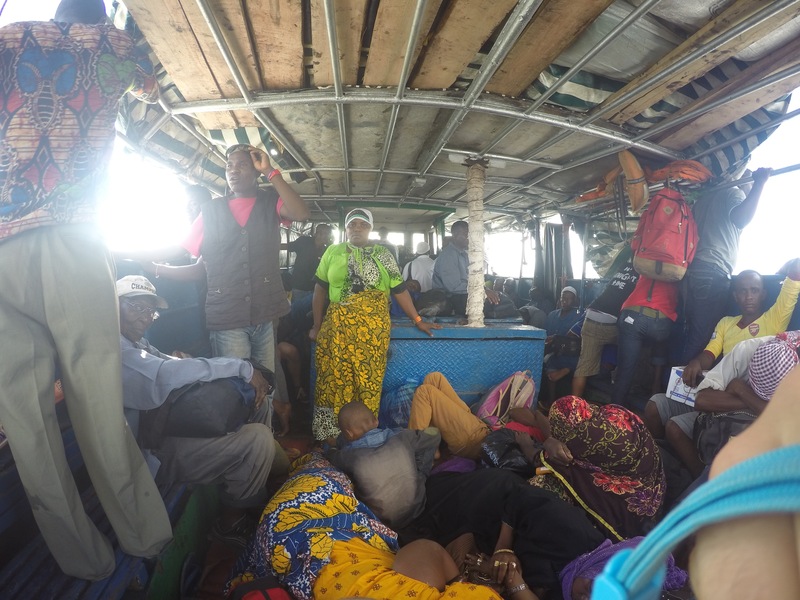 It was an experience but very hard going, I also done the boat back which wasn’t as bad because you don’t need to stay in Nyamisati, it leaves Mafia at 6am and the Dala Dalas wait for the boat coming in so you will arrive back in Dar by 3pm the same day. It’s up to you, yes it saves a lot of money but in hindsight, maybe I would’ve flown there and got the boat back. 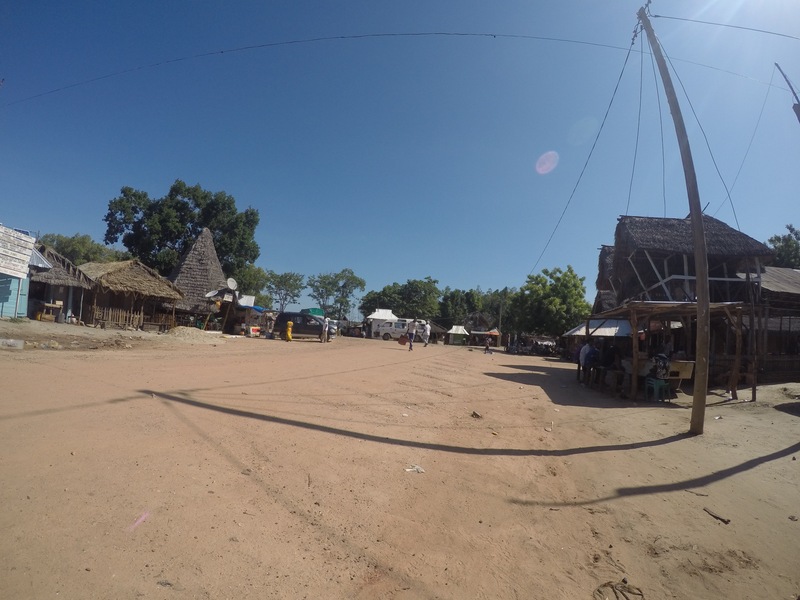 If you’re on a budget I would also recommend staying in the town of Kilindoni on Mafia. Stay in Ibizza in – 30ktsh for aircon room and breakfast included with wifi. Compared to $50 per night in Utende and also have to pay $20 per day marine few. Good luck and enjoy Mafia! WOW some adventure that and told like a true traveler ,ime too old for stuff like that now .Gallinevo ha ha doubt Marlene will get round to calling you that .Have a wonderful time and wishing you both a very Happy New Year and 2016 .